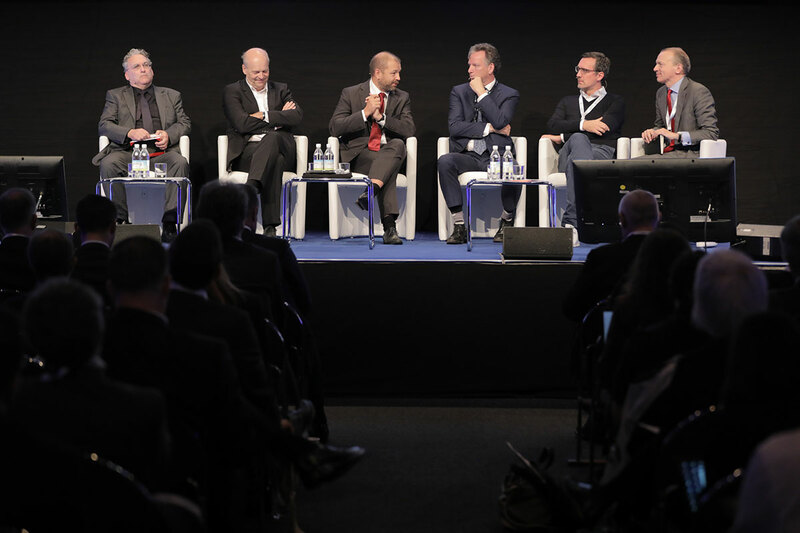 The theme of the WindEurope 2018 Conference, part of the Global Wind Summit, is ‘Breaking new ground’ – and Day Two focused on the one of the most ground-breaking frontiers of wind energy today: digital wind & new technologies. For the opening plenary session of the day, WindEurope invited several keynote speakers to share their thoughts on digitalisation and its impact on the wind sector: Marc Berg, CEO of Intelligent Apps GmbH (mytaxi and Chauffeur Privé, among others); Laurent Schmitt, Secretary General at ENTSO-E; Ward Thomas, CEO at Sentient Science; Henrik Stiesdal, CEO at Stiesdal; and Aidan Cronin, Chairman at ETIP Wind. Attendees also got the chance to hear from Geoffrey Parker, digital platform specialist and co-author of ‘Platform Revolution’, who joined via teleconference from Florida. Digitalisation is a real ‘buzz word’ in wind energy these days – and the number of attendees at the session reflected this interest. From sensors and weather prediction tools to system integration, the wind industry already uses a lot of data – but there is debate regarding the extent of its possibilities. The control of data – and big data – through the digitalisation of information can help anticipate faults in wind turbines, allowing predictive rather than preventive maintenance. It is set to make system integration even easier and bring down its costs. But, as in other sectors, an increased use of data does not come without challenges: digitalisation brings its own set of challenges, with data ownership (who owns the information that we store and process?) and cybersecurity (is our fleet under attack?) on top of the list. So how can the wind industry fully leverage the digital revolution? Laurent Schmitt stressed the importance of using this opportunity holistically, “linking digitalisation with electric vehicles and data centres”, beyond fixed and long-term PPAs. Aidan Cronin reminded attendees that the right approach to data will be key to the success of digitalisation: it is crucial to find the balance between digitalisation’s potential and the challenges it poses, such as the question of ownership. To mark the end of Day Two, Ed Wagner of Sentient Science announced the winner of The Wind Challenge, the game that allows users to look at a virtual wind farm and compete against other wind techs and engineers to extend the life of one or more wind turbines at the lowest possible cost. Over the past two weeks 700 players had worked on more than 4,307 virtual turbines, boosting financials by €962m. The overall winner of the Wind Challenge was Josep Gausach, who was present in Hamburg to receive his prize on the WindEurope stage. Want to see the programme for Day Three of the WindEurope 2018 Conference at the Global Wind Summit?